Rabbit in the Moon gets ready for an intimate and inimitable warehouse experience. Since 1992, Rabbit in the Moon has been producing their distinctive blend of electronic music, accentuated by dramatic performances witnessed at raves and festivals for one of a kind experiences. With a show that features an intense visual expression of their dark and hypnotic music, a night with Rabbit in the Moon is like being immersed in an electronic circus, with abstract narratives, costumes, props, and performers creating a overload for all of the senses. 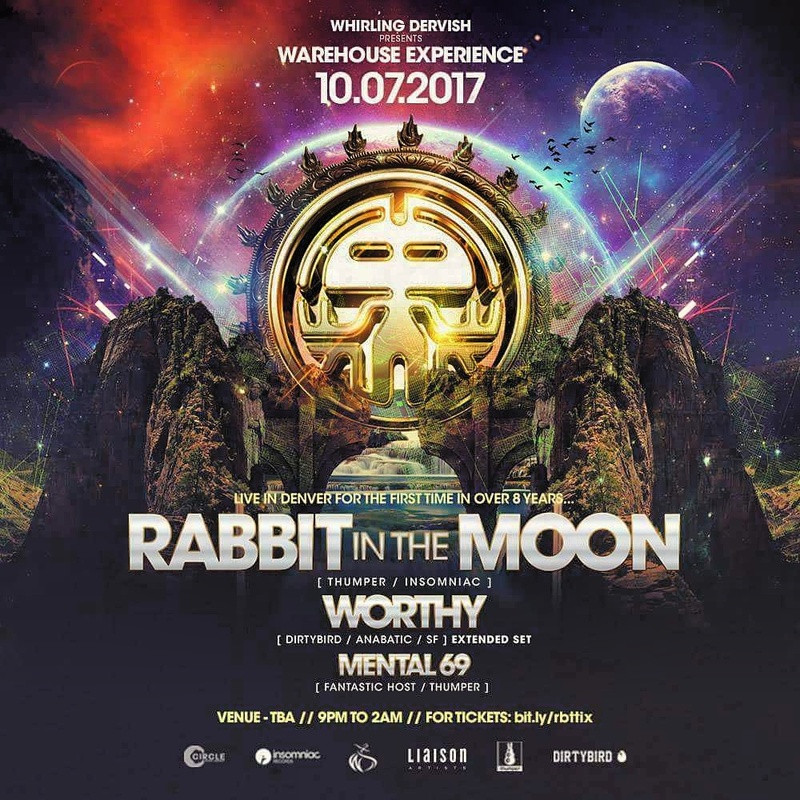 While R.I.T.M usually performs in a large environment, this time they are bringing their show up close and personal to an intimate warehouse experience in Denver. Hosted by Whirling Dervish, the crew that brought Sasha & Quivver for a special warehouse night, as well as a who’s who of Progressive DJs for their Thursday Night Service all Summer long, it’s sure to be as well executed an experience as one could ask for. It’s no surprise that this high demand event has already sold out, but there are still a few spots left for the Afterparty featuring DJ sets from Rabbit in the Moon’s Bunny & David Christopher, Chris Fortier, and Shane Beebe. In preparation for the event, Rabbit in the Moon gives us an exclusive look inside look into their mission, and what they are looking forward to about this exciting night. What is special about the current evolution of your performance and music? When we started this adventure in music and performance, we had the motto, “Evolve with the Underground”. It’s still valid. Rabbit in the moon will always feel familiar and relevant no matter what year it is. Our music and performances are full of energy and emotion, and the crowd feels that. Currently we are experimenting with new technology, both musically and visually, that tell our stories and communicate the experience to a new audience. People are over-stimulated online. We want to give them something unique to see and hear, and not just be another act lost in the pack. 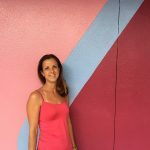 What are your goals when you get on stage? We’d like to think that the crowd will leave the party changed for the better. How does your performance change from a big festival to the intimate event? A big festival is amazing. We’ve love the size of the crowds and having all that pyro!!! But with a more intimate event we are able to play a longer set. The crowd hasn’t been partying for 2 days before they see you if you are on the last day of a festival, so they are fresh out of the box and ready to throw down. There’s also something to be said about a more compressed vibe in a smaller space. It’s darker, more mysterious, even the illusion of danger, like a haunted house. There’s more focus on our visuals and performance. People from the front to the back of the warehouse can see and hear everything. Some of our best shows have been in these kind of spaces. 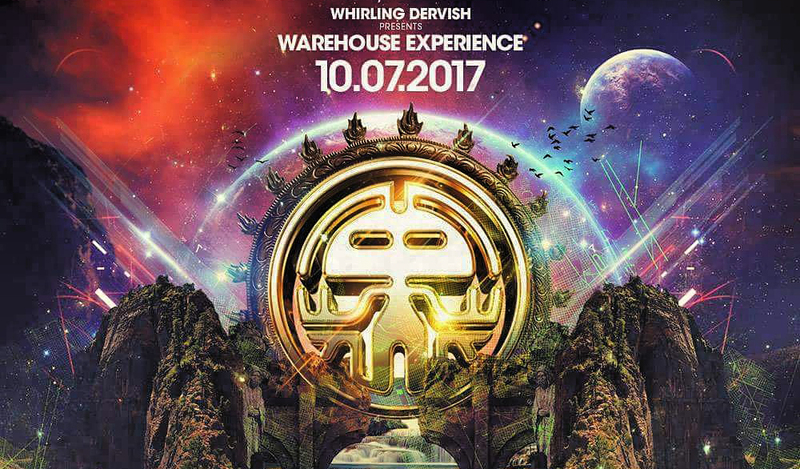 What are you looking forward to about being back in Denver and this unique Warehouse party? Dave: Denver is the first city I traveled to when I ventured west from Florida many years before moving to LA. It felt to me like like an adventure to the land of Kerouac. Some of our benchmark shows were there. We once opened for Moby in Denver, and it went so well they had us back to play our own show at Red Rocks. It’s a beautiful city, surrounded by some of my favorite mountains to snowboard. What is even more exciting is once our show is over (which is now sold out) Bunny and I will be djing an afterparty with Chris Fortier and Shane Beebe. Playing a dj set at an afterhours is a chance to explore so of the deeper vibes, and to interact with some Denver people on a more personal level. It’s going to be an amazing night of music and friends! Rabbit in the Moon – Their full LIVE show in Denver for the first time in over 8 years! Don’t miss your chance to experience their full-on ultimate music experience in an intimate, non-festival environment! WORTHY – (DirtyBird and Anabatic Records) – Worthy, along with Claude Von Stroke and Justin and Christian Martin, is one of the four founding fathers of the Dirtybird party. Worthy’s breakout track, Irst Te, released on the Dirtybird label in 2007, quickly established his notoriety as a producer. With other bangers like Shy Look, Tric Trac (co-produced with Eats Everything) and the recently release track, Dip, Worthy has been rocking the “Dirtybird” sound for nearly a decade now. Concurrently, Worthy has established his own label, Anabatic Records, which has allowed him to be a bit more experimental with his production, and expand his reach as an artist. Some of the songs that have charted on sites such as Beatport include Concubia, Work The Walls, and Flashin. In 2014 Worthy released his debut full-length album, Disbehave, a genre-defying rebellion against the house producers status quo. Breaking down rules and boundaries, Worthy has sought to set himself apart from the mundane world of expectation, striking out to release something unexpected. LIMITED tickets available for this exclusive and very intimate after-hours warehouse event and No Tickets Will be Sold at the Door. Presale Only. MUST purchase tickets in advance. There will be no door sales or lists. You will receive location via email on Saturday, October 7th. Venue equipped w/ FUNKTION ONE AUDIO and REFRESHMENTS WILL BE AVAILABLE.